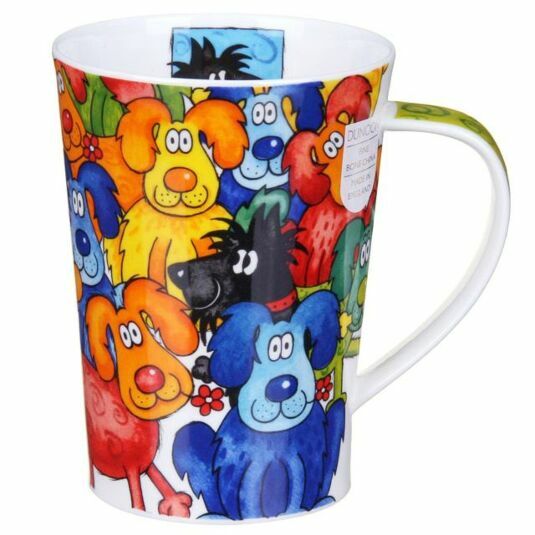 Cheerful dogs of all kinds are packed onto this tall mug, all with endearing expressions, ready for Walkies or playtime. The dogs are every colour of the rainbow, from blue and yellow to orange and green, and are bound to cheer up your coffee break. The ‘hidden’ creature on this mug is a scruffy-looking black mutt whose portrait is also inside the rim. 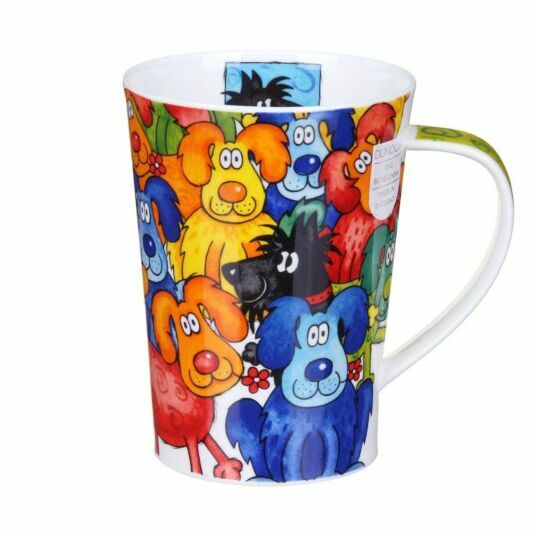 This vibrant mug from Dunoon is a great gift for anyone who loves dogs and has a sense of humour. Jane is an artist whose designs feature on many Dunoon mugs. She grew up on a farm in North Wales, and over the years has won various awards for her designs which now appear on a variety of gift products including mugs. She uses gouache, pastels and acrylics for her work. Her friendly cartoon-like and humorous animal portraits feature on many Dunoon mugs.